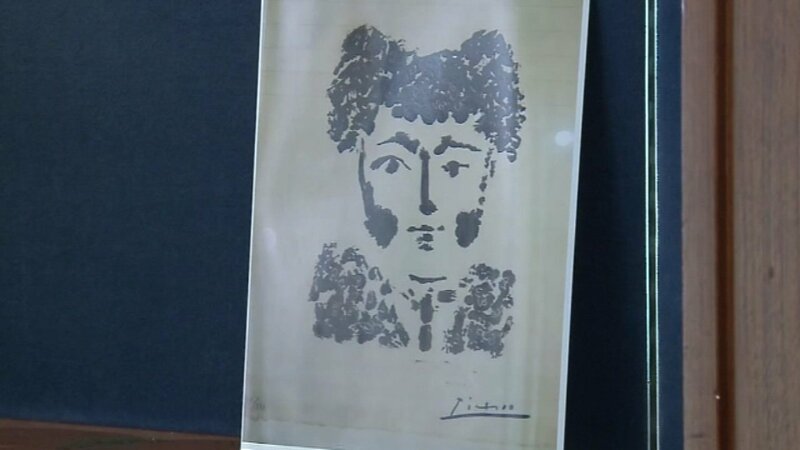 MILWAUKEE -- A rare, original Pablo Picasso etching - worth $35,000 to $50,000 -- was stolen from a shop in downtown Milwaukee. The signed piece was taken Friday from the building lobby that has several businesses inside. The artwork's owners -- Bill Delind and his partner Michael Goforth -- work upstairs at Delind Fine Art Appraisal. Goforth saw the valuable artwork as he was passing through the lobby Friday morning. About 2 p.m., he headed out and the piece was gone. The artwork had no price or name by it, but the owners believe it was targeted. "This is intentional," Delind told CBS58. "Somebody either knew what they were doing or just got lucky." He has notified art galleries and museums all over the country about the stolen art work in hopes that if the thief tries to sell it, the buyer will know it was stolen. In the meantime, Delind said they'll be upgrading their security significantly so they don't see another theft again. He also can't help but think back another high-profile theft in Milwaukee, and hopes for the same outcome. In January 2014, Milwaukee symphony orchestra concertmaster Frank Almond was attacked and robbed of the rare Stradevarius violin -- worth $5 million and 300 years old. Police received a tip ultimately leading them to the thief and violin. "TV stations, social media, that the word will be out, and like Frank Almonds violin, it will turn up somewhere," Delind said.